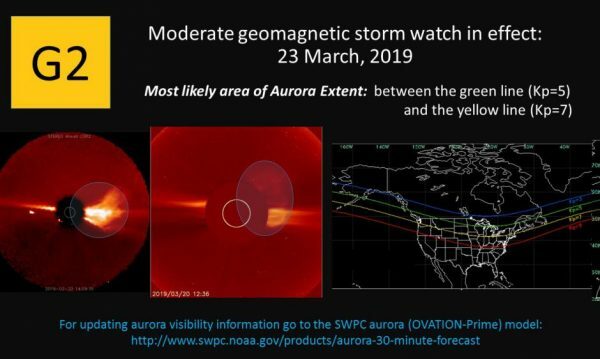 New York and Chicago residents could see the Northern Lights, or the aurora borealis, over the weekend due to a coronal mass ejection (CME) from the sun, according to U.S. weather officials. The agency said that an “asymmetric halo CME was observed,” and it appears to be partially directed at the Earth. According to the map, the most likely area of an aurora event is between the green line and the yellow line, which appears to encompass parts of New York, northern Illinois (including Chicago), Wisconsin, North and South Dakota, Montana, Idaho, Washington state, Iowa, Michigan, Maine, Vermont, New Hampshire, and Massachusetts. 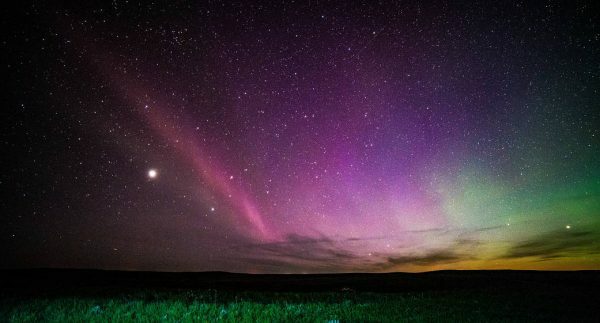 The very northern parts of Ohio, Pennsylvania, Connecticut, Rhode Island, and Indiana might see the Northern Lights. “An asymmetric halo CME was observed in SOHO/LASCO coronagraph imagery and initial analysis of the CME in both LASCO and STEREO-A coronagraph imagery shows an Earth-directed component is likely,” the NOAA added. Space weather forecaster Jonathan Lash saaid a solar flare that left the sun this week is due to arrive at Earth around 2 p.m. EDT Saturday. Lash said the event is unusual but not rare. That’s because it is happening during the quiet four-year solar minimum. It’s unlikely to cause power or communication problems on Earth, nor will many people get a chance to see shimmering auroras. A magnificent display of the northern lights were seen over the skies of Lehtojarvi, on the Arctic Circle in Finland, on Thursday, Feb. 28. 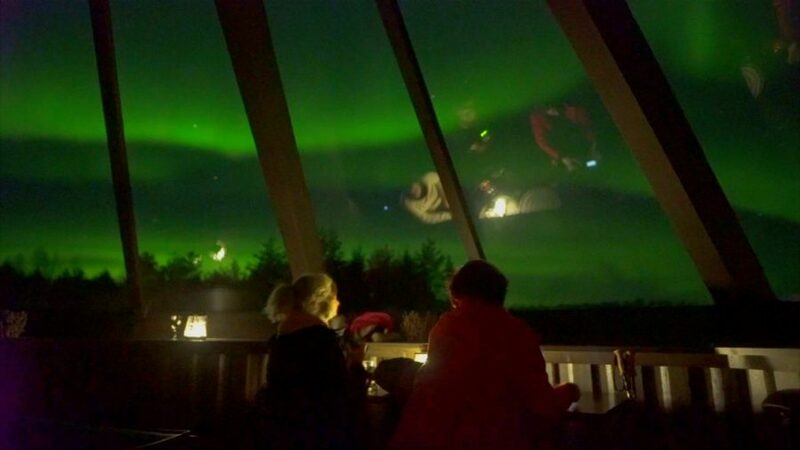 Guests at the Arctic Snow Hotel, near Rovaniemi, admired the show which lasted for several hours and colored the sky with green, pink, purple and white lights. Footage of the spectacle was captured by an enthusiast from Rovaniemi who said the auroras were the strongest they had been in months. Spring is one of the best times to see the northern lights—also called aurora borealis, on the Arctic Circle because of augmented solar wind activity. Those lucky enough to be in the area were able to see the aurora borealis light up the night sky. Spending a clear winter night under an Arctic sky lit up by spectacular streaks of color from the Northern Lights is an often-cited “bucket-list” experience among the reasons more people are visiting the northern region. The Epoch Times reporter Jack Phillips, Reuters and The Associated Press contributed to this report.